After Vivo NEX S, Samsung is also reportedly working on a smartphone with a pop-up camera. According to some recent leaks, Samsung Galaxy A90 to be Firm’s First Phone with a pop-up Selfie Camera. Samsung is quite serious to make its phone more thin and elegant. 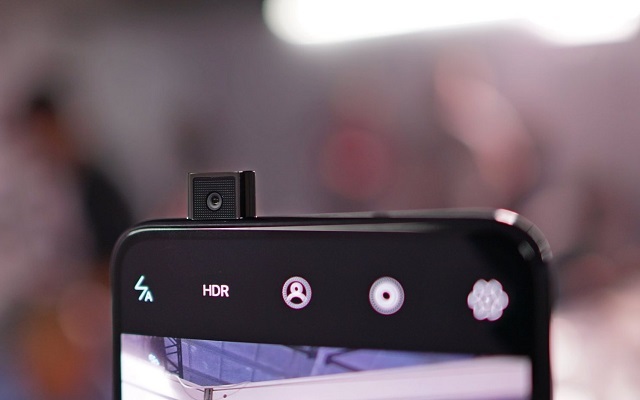 Galaxy A8s was the company’s first handset to feature a punch-hole selfie camera. Samsung will continue following this trend in the upcoming Galaxy S10 Series. Ice Universe is the first tipster who revealed this feature of the upcoming device. According to it, Samsung is working on a new mid-range phone that won’t have a notch or a punch-hole in order to keep its thin bezels. Instead, the Samsung Galaxy A90 will use a mechanical pop-up camera. On the other hand, Samsung Galaxy A90 may be a replacement for the Galaxy A9 (2018). Rumors also revealed that the device will come with 6GB to 8GB of RAM and 128GB of storage. No doubt, a pop-up camera makes the phone more elegant, but it does have some potential issues. The issue may be the durability of the motorized drive that pushes the camera up and backs down again. Moreover, a phone with a pop-up camera is most likely not going to have an IP rating for protection from dust and water. As we all know that Samsung is all ready to launch Galaxy S10 series. We also know that Samsung will launch three different models including regular S10, S10 Plus, and S10 Lite or S10E. Samsung Galaxy S10E Official Renders Leaked. The leaked images revealed some important specs including camera set up and fingerprint scanner.